"I really enjoy racing at the SuperNationals," expressed Gangi Jr. from his home in Brookville, New York. "I like the challenge of heat races and then moving straight to the main event. It creates a new dynamic for all the drivers, as you need to be both fast and consistent as well as stay out of trouble to have a shot at the win. There is no prefinal to gain a better starting spot. I love it." 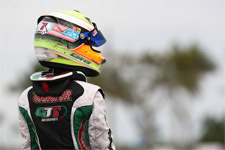 Standing atop the blocks at the 2012 SKUSA SuperNationals, Gangi Jr. is no stranger to the podium. 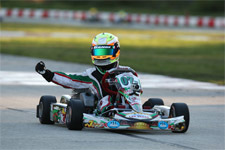 Flexing his muscles throughout 2013, Gangi Jr. has scored race wins and podium results in the World Karting Association Manufacturers Cup, United States Pro Kart Series, Florida Winter Tour and SuperKarts! 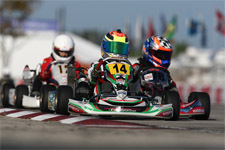 USA ProKart Challenge programs. 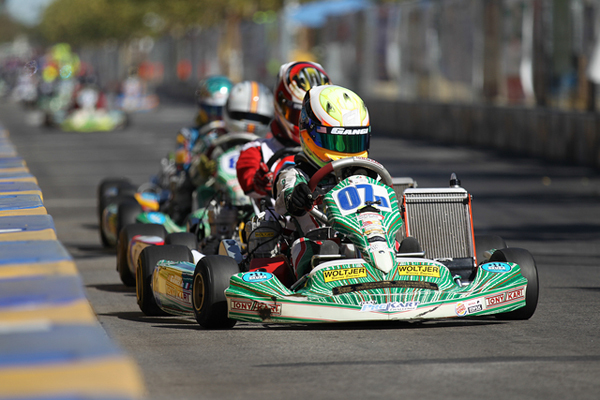 Not to mention, Gangi Jr. also claimed the victory at the annual Streets of Lancaster event in Lancaster, California, the unofficial tune up to the SuperNats. 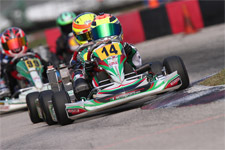 Competing aboard a Woltjer Racing Engines powered Tony Kart, Gangi Jr. will work with Whisler Racing Services' AJ Whisler as they continue to meld their relationship. Working together at past events as well as several test days leading up to this week's SuperNats, the duo is primed and ready to go in Sin City. 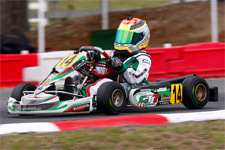 The 17th edition of the SuperNationals will kick off Wednesday, November 20 as the GT7/Tony Kart pilot hits the track for the first time during the day's practice sessions. Gangi Jr. will then be back on track Thursday for the final practice secessions before Friday's qualifying and first heat race. Saturday will feature the final two heat races, which set the grids for the main events. Gangi Jr. will then put it all on the line during Super Sunday, as he vies for yet another win in Sin City. 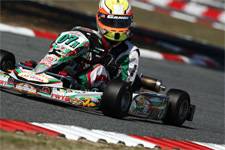 Tune into eKartingNews.com's live coverage of the event at http://www.ekartingnews.com/live/ to follow Anthony Gangi Jr.'s progress at one of the biggest and best karting events in the world.